Supreme has been creating hit after hit with just about any partner that they collaborate with. While we saw the famed Nike Foamposite pack last year as well as the Nike Air Force 1 High, we were always left wondering what could be if they got together with the almighty Jordan Brand. 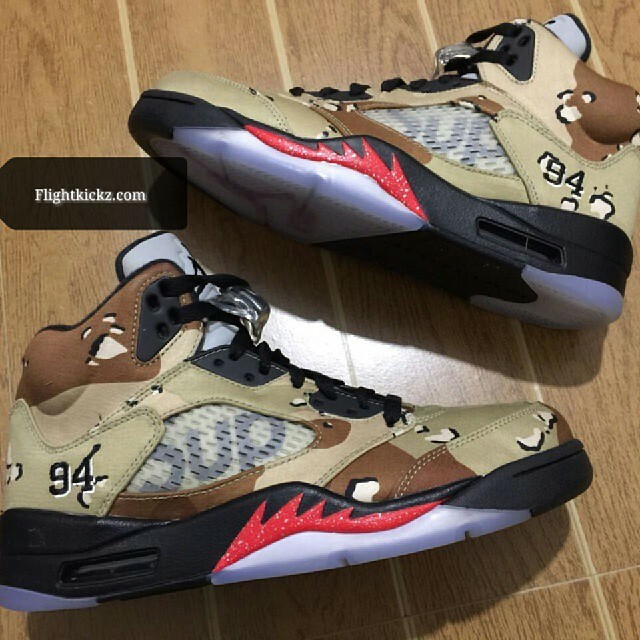 Well it looks like we may be finding out some time soon (if things hold up) as a pic of a "Camo" Air Jordan 5 is floating around the net. 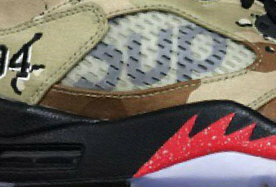 While it could be interpreted as some new colorway by JB, the infamous "Supreme" branding can be seen on the underlay of the netting. 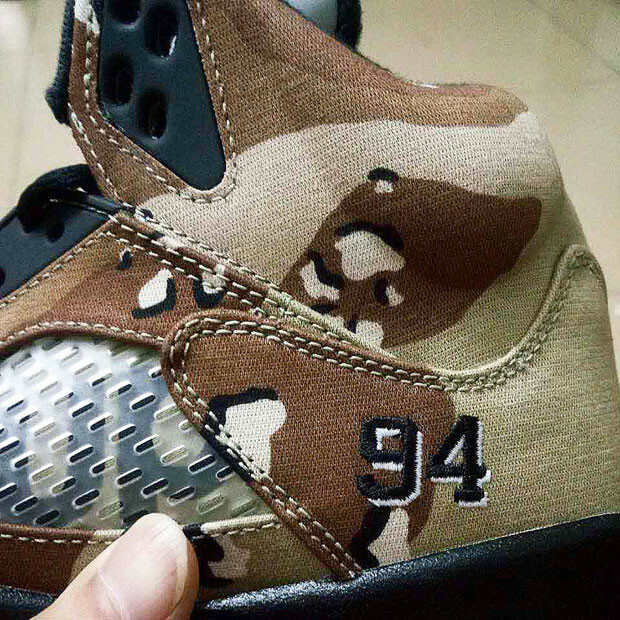 Due to the War Plane inspiration behind the Air Jordan 5, the camouflage motif ends up making some sense. While we don't have official confirmation of its release being scheduled, as they say where there's smoke, there's fire, so make sure to keep it locked to SneakerShouts for any possible updates on these bad boys.